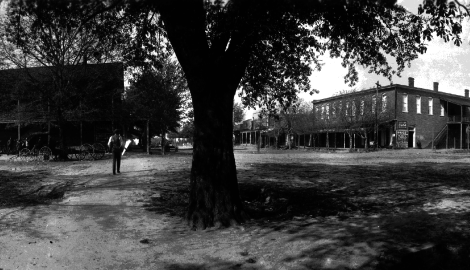 Toomer’s Corner, 1899. Not a Toomer’s Oak. You see it framed and hanging up everywhere, and it’s been used in pretty much every writeup on the history of Toomer’s Corner in the history of Toomer’s Corner histories. Some wagons on the left, Toomer’s Drugs on the right, and there in the middle, an awesome tree. Auburn horticulture expert Gary “Toomer’s Oaks” Keever even has it hanging in his office. Because it’s a great photo. 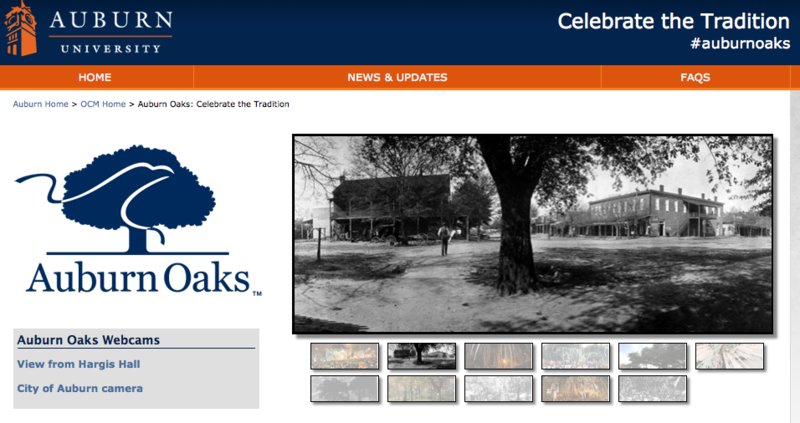 It’s just not a photo of the Toomer’s Oaks. “I put it in my office there as a talking point, because I’ve got later shots of the stump of that tree,” Keever says. He’ll probably be using it as a talking point for a while. In January 2012, a study determined that the Toomer’s Oaks were not, in fact, 130 years old, as had been reported repeatedly since news broke of the oaks poisoning, but were likely only planted in 1937. TWER broke it. Others picked up on it. It got some attention. And then it was apparently forgotten. Because almost every retrospective about the oaks produced or written in the days leading up to their final rolling and removal either still includes that picture— a photo a tree that was cut down more than a century ago—or refers to the oaks as 130 years old, or both. 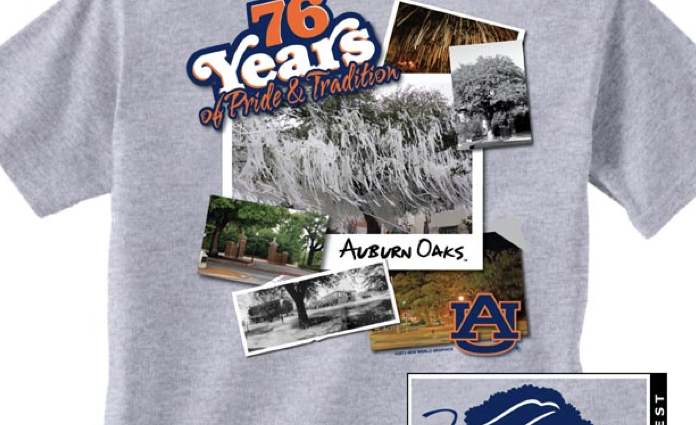 Even Auburn continues to use the photo to tell the oaks’ story on its official Toomer’s Oaks page and even approved its use in one of the official “Auburn Oaks” T-shirts. 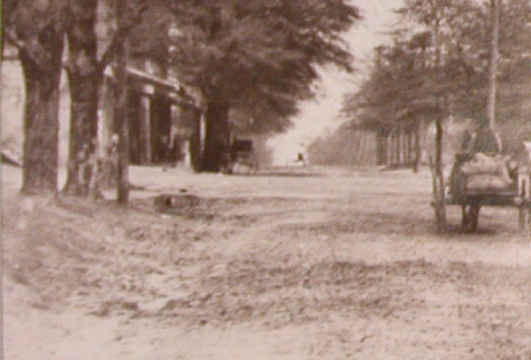 “There’s a (1910) photo that shows College Avenue’s dirt road with a wagon going in the wrong direction and if you look closely you’ll see what looks to be a stump,” Keever says. 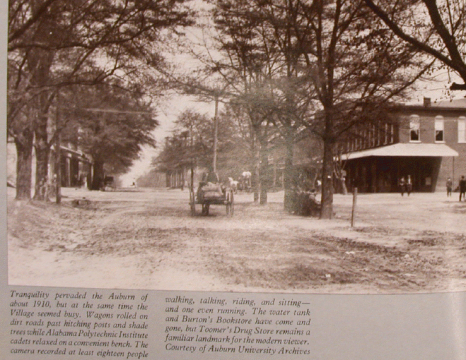 Related: Toomer’s rollings did not start with Punt, Bama, Punt.